Cheyney Thompson employs rational structures, technological processes, and generative devices to think about painting's establishment as a medium in art history. To produce his latest series of works, Thompson took Cézanne's Study of the Allegorical Figure Bellona in Rubens' "The Apotheosis of Henri IV", 1883/1886, as a point of departure to further explore ideas of reproduction, singularity and value creation. For his presentation in London, Thompson chose to transcribe Cézanne's set of 10 drawings line by line using vector-based paths. By recording Cezanne's curves into a set of functions instead of pixels, the drawings become an abstract script, and no longer depend on the original image to be reproduced. 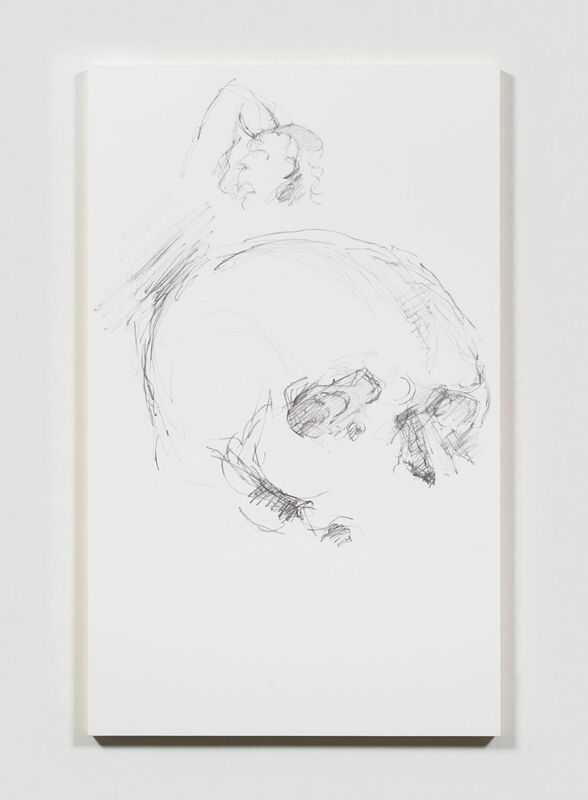 The drawings are then printed with the help of a computer-controlled machine that executes the tool paths that resulted from the transcription of Cezanne's drawings. Thompson is interested in a translation operation that reconstructs the drawings instead of reproducing them.